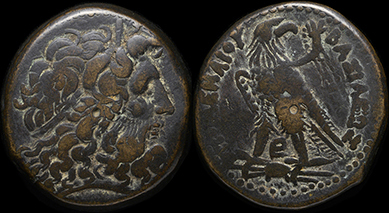 All my Egyptian artifacts were legally exported from Egypt prior to the 1970 UNESCO treaty, and subsequent international trade laws regarding antiquities. 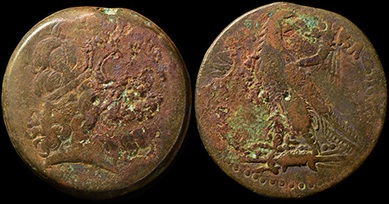 The items are from old American and European collections and auctions. 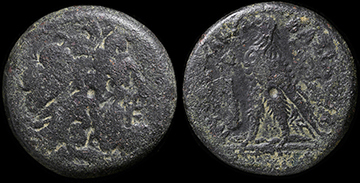 Queen Cleopatra, last of the Ptolemies, Greek rulers of Egypt. 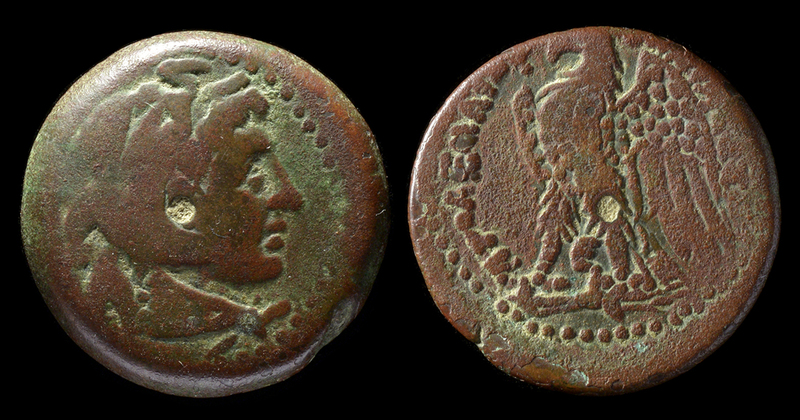 Lover to Julius Caesar and Marc Antony. 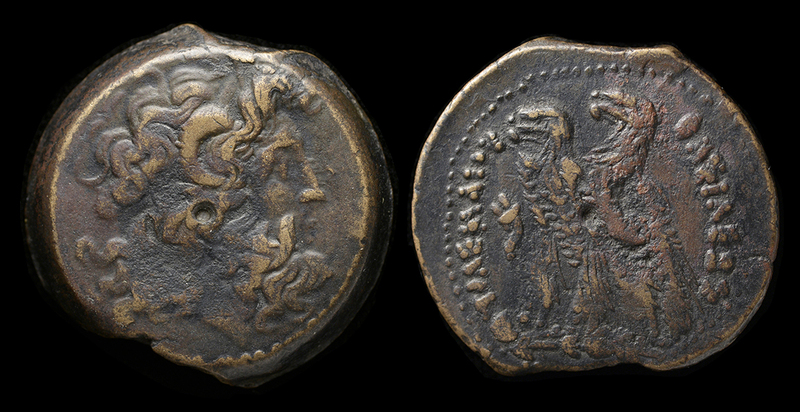 Wonderful bronze coins bearing her portrait! 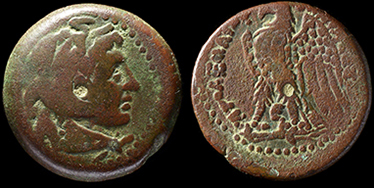 Ptolemaic Egypt. 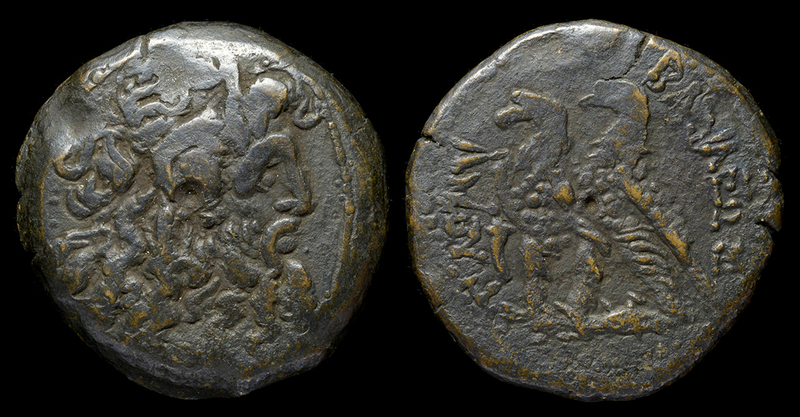 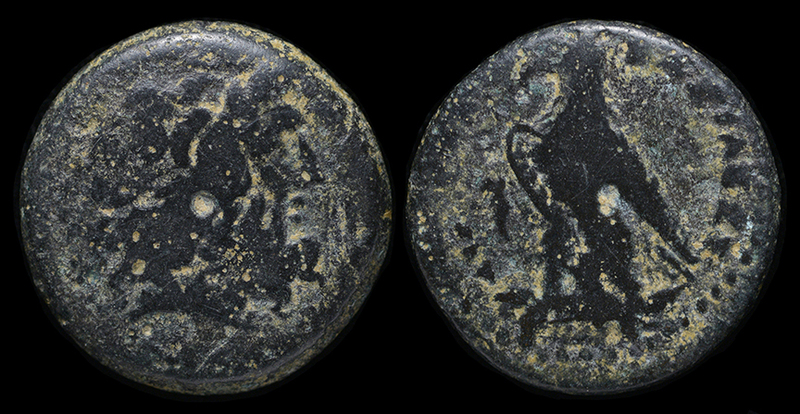 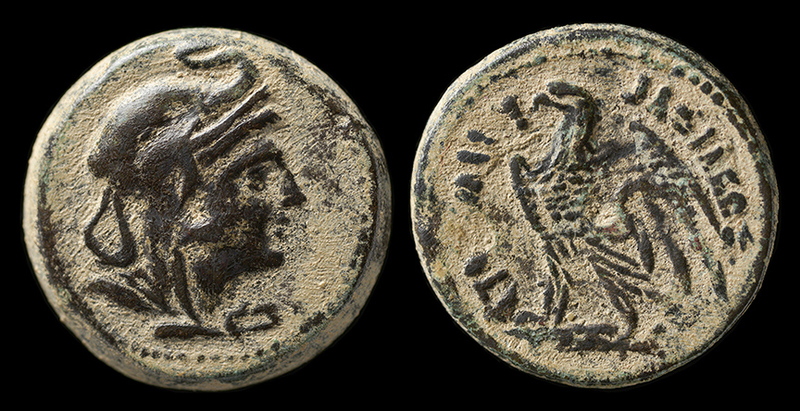 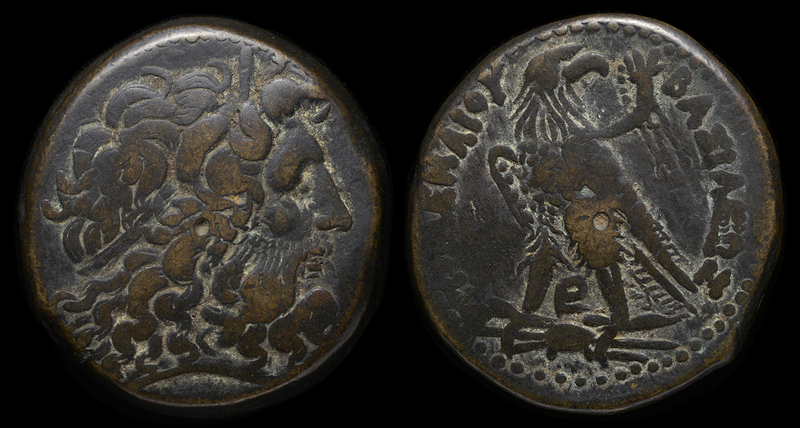 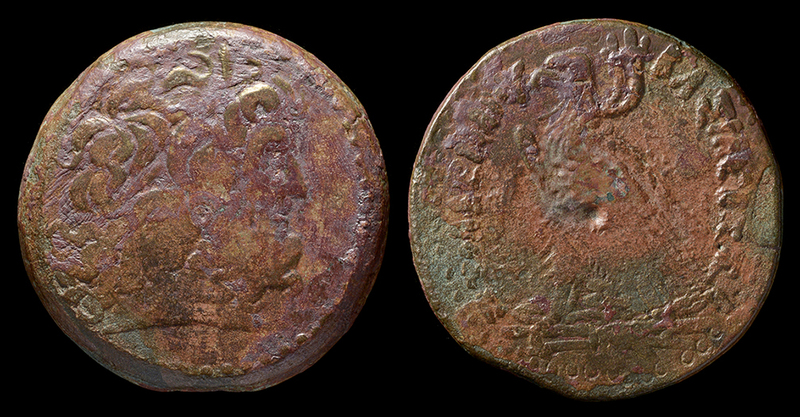 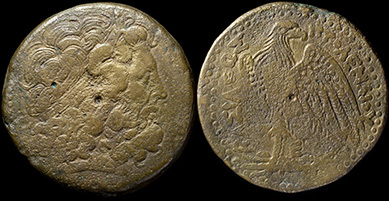 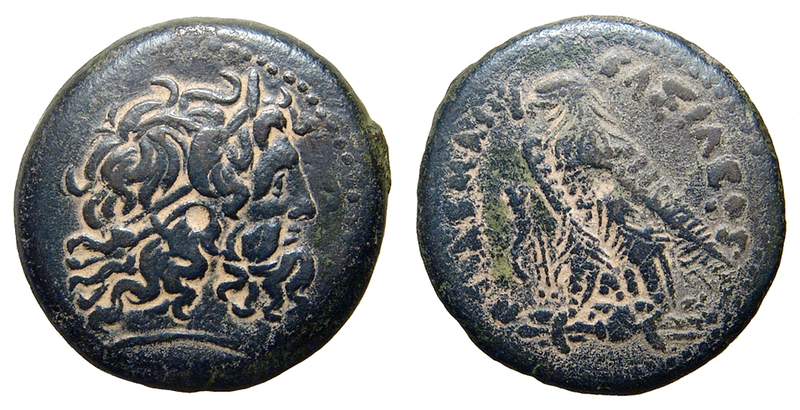 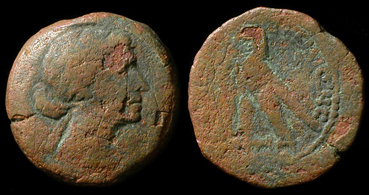 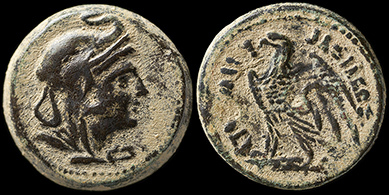 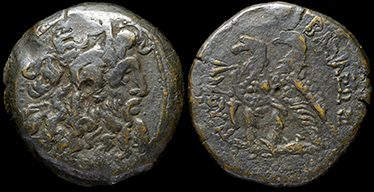 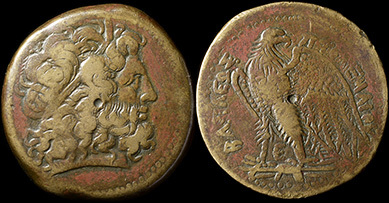 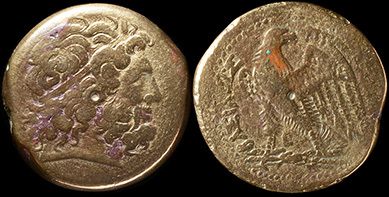 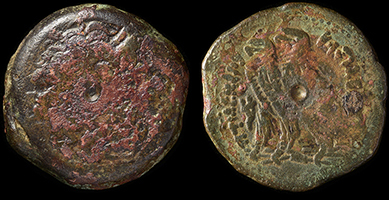 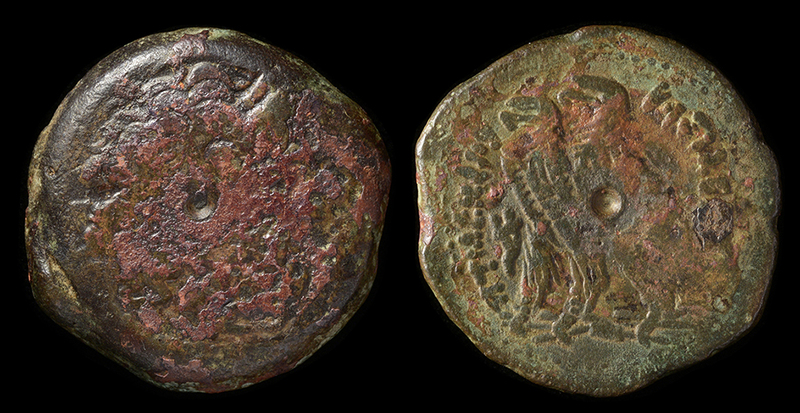 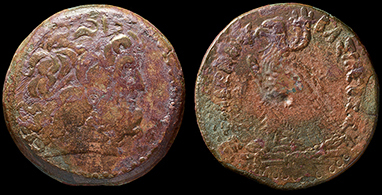 Ptolemy III, 246-222 BC. 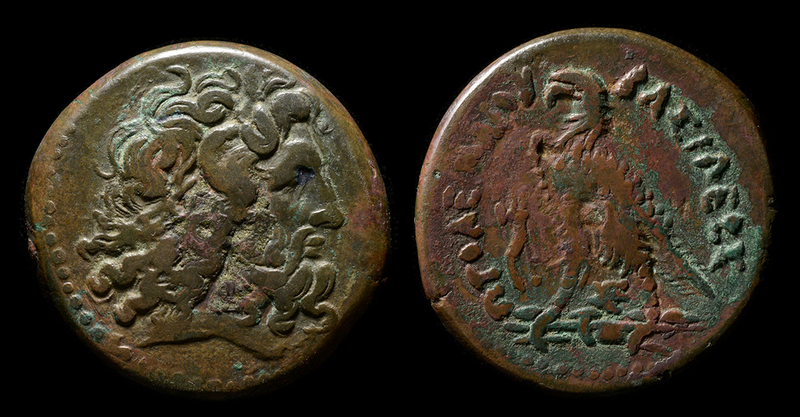 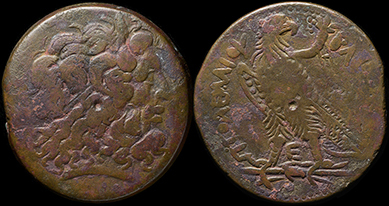 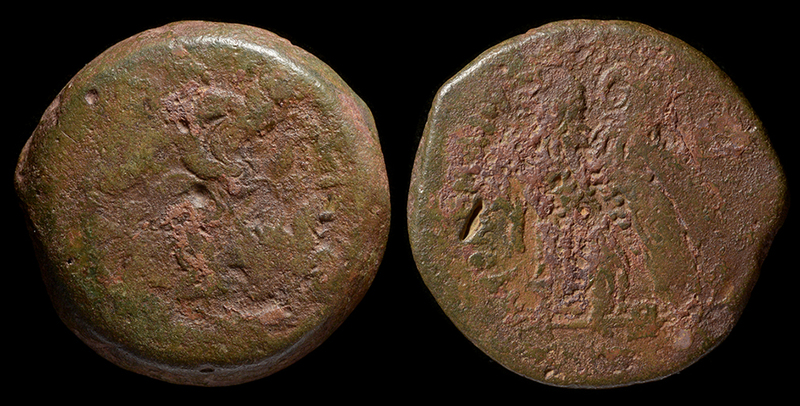 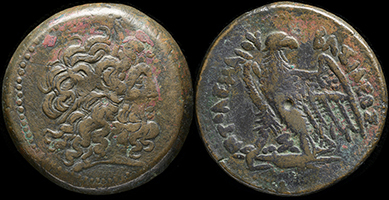 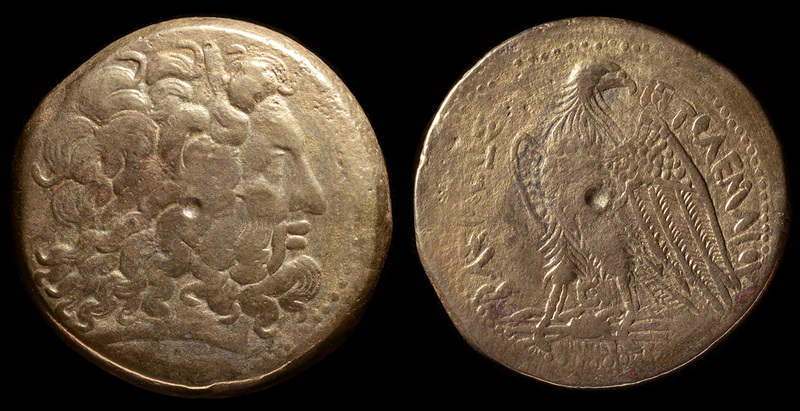 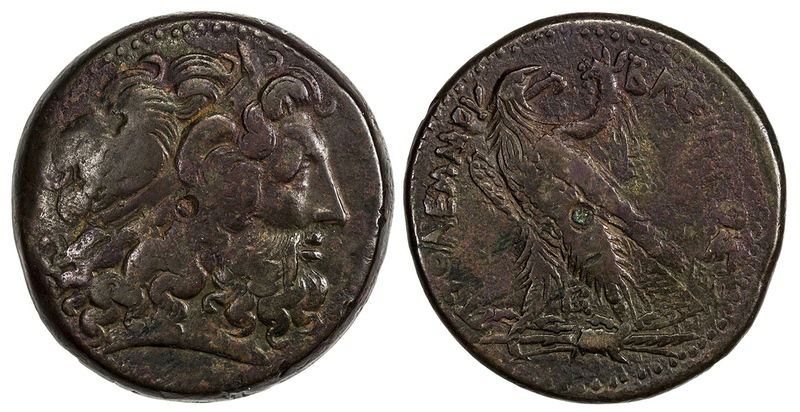 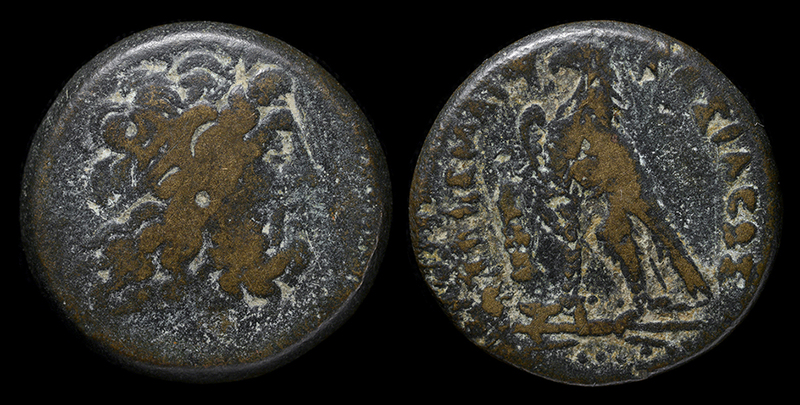 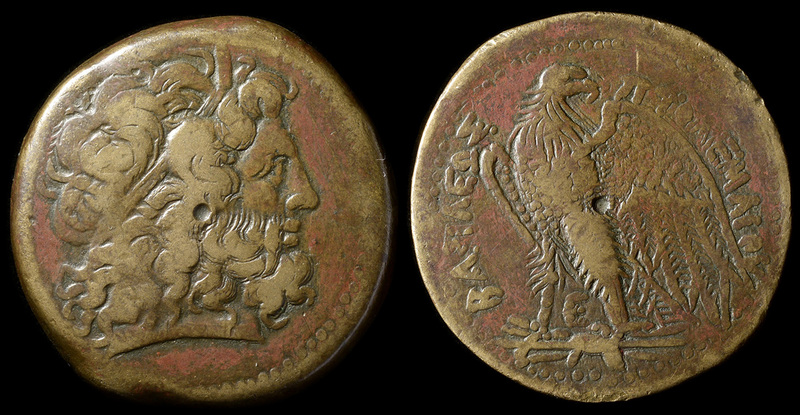 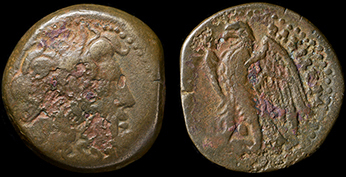 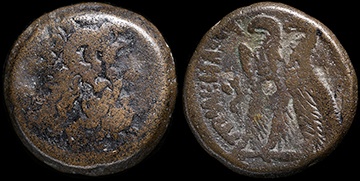 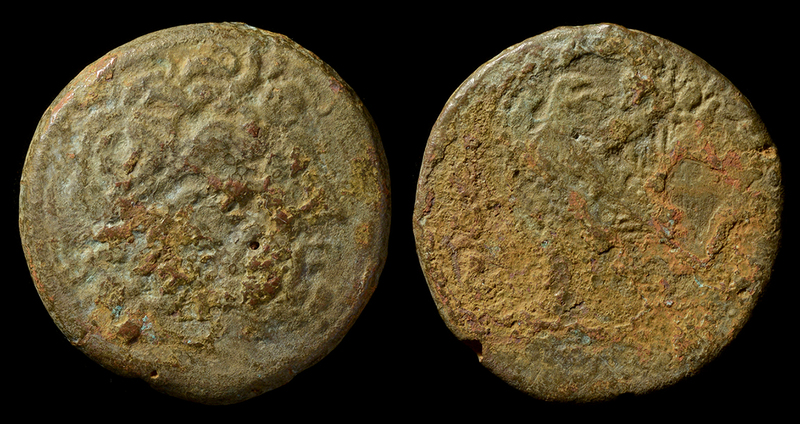 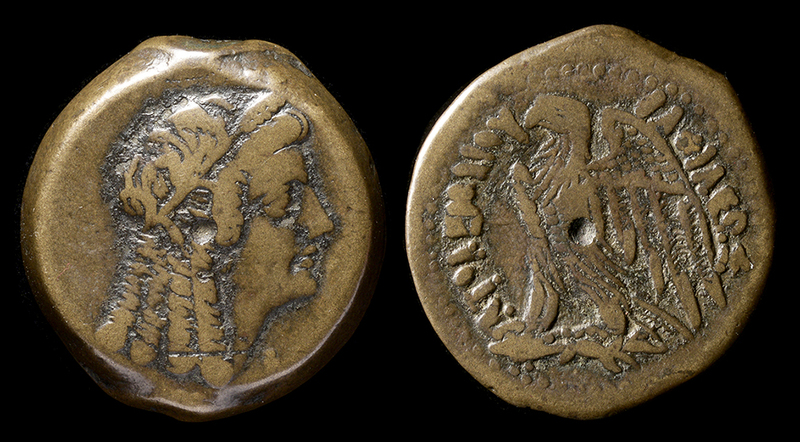 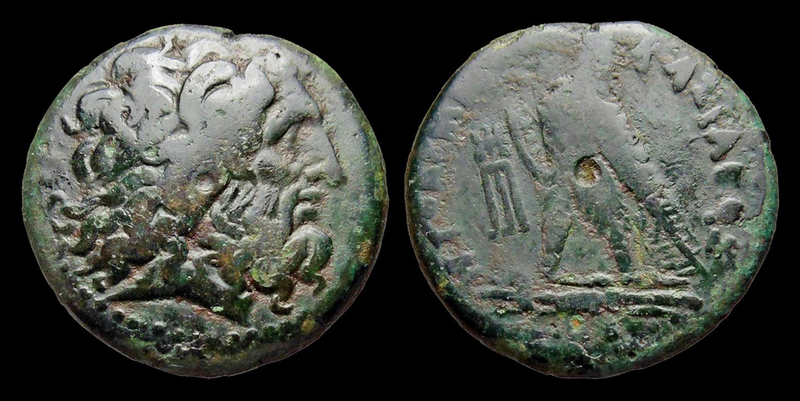 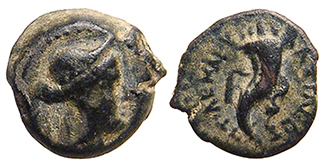 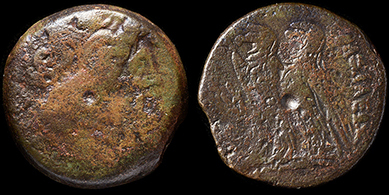 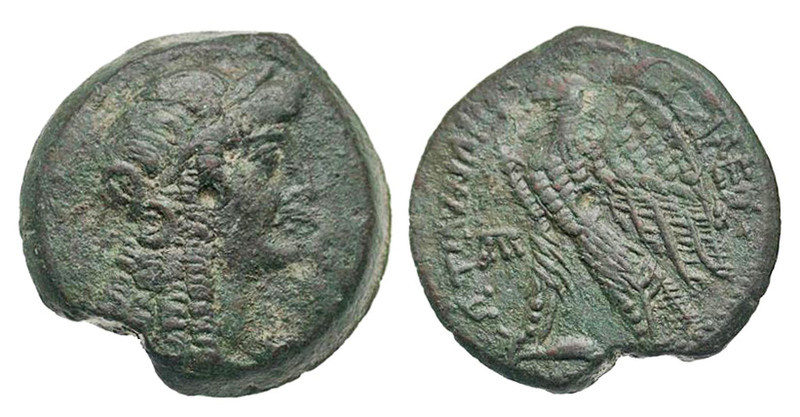 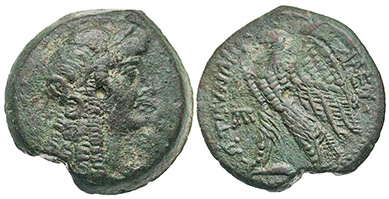 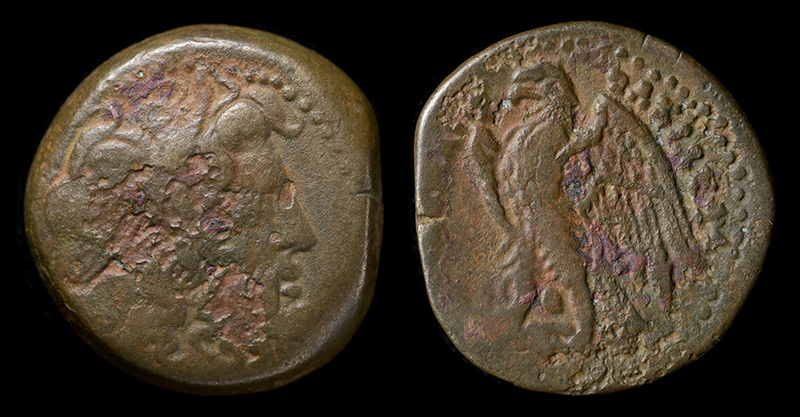 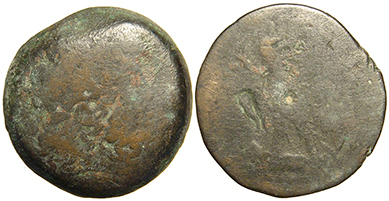 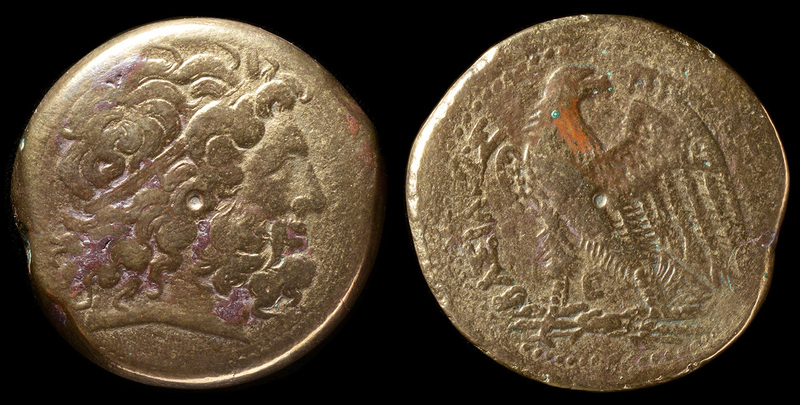 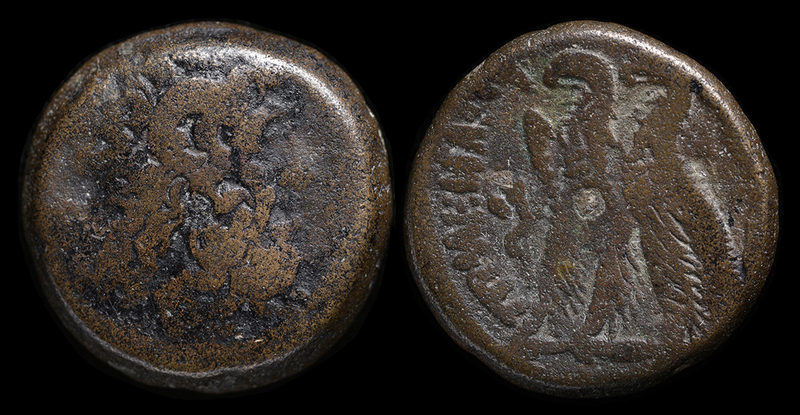 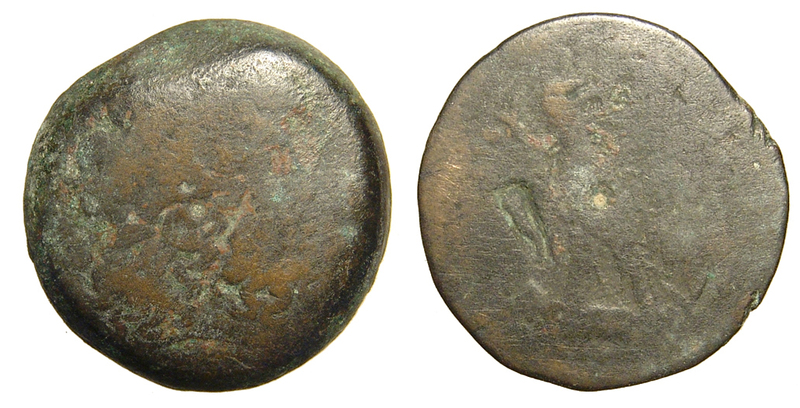 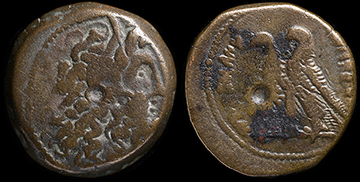 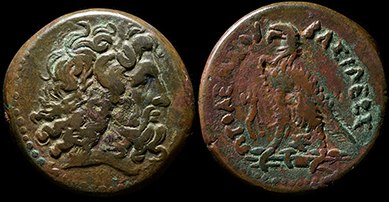 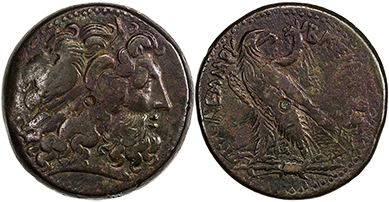 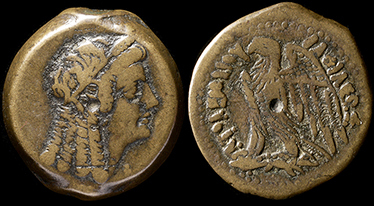 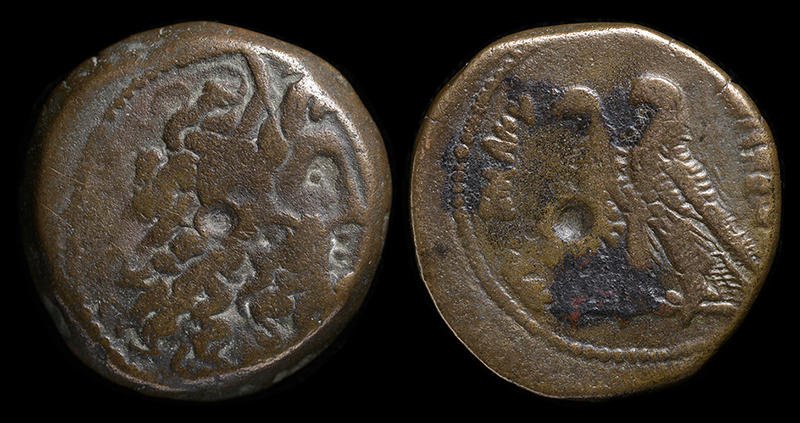 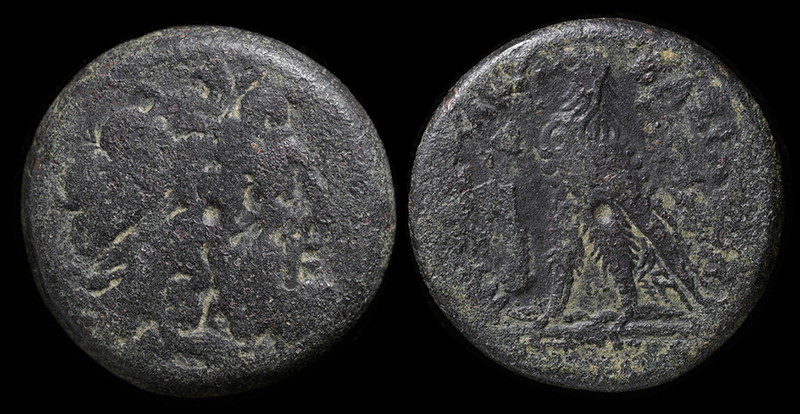 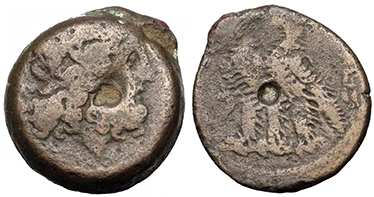 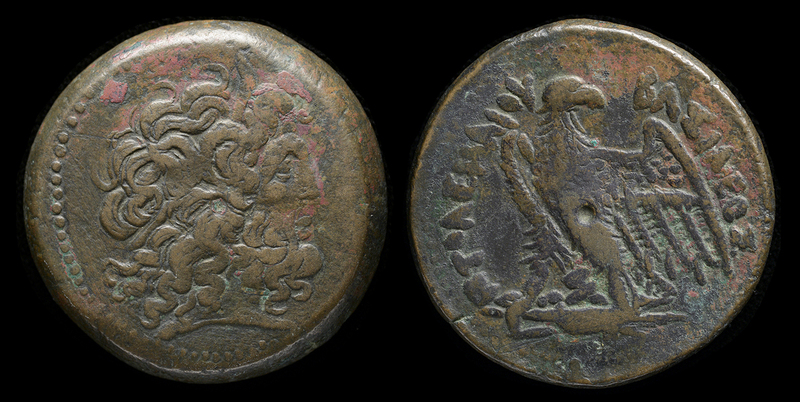 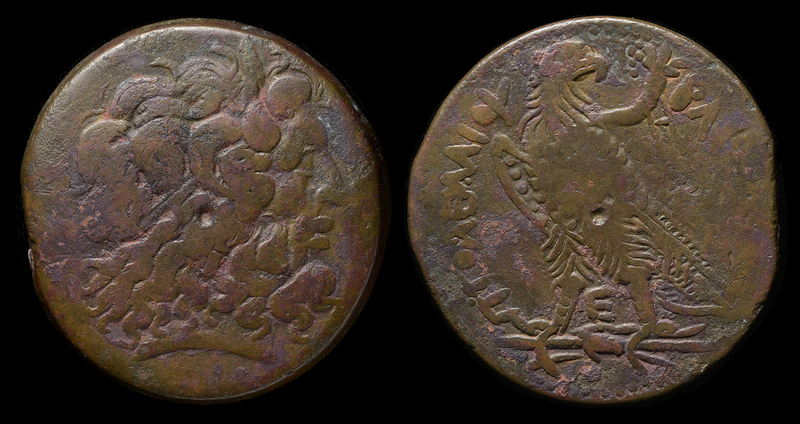 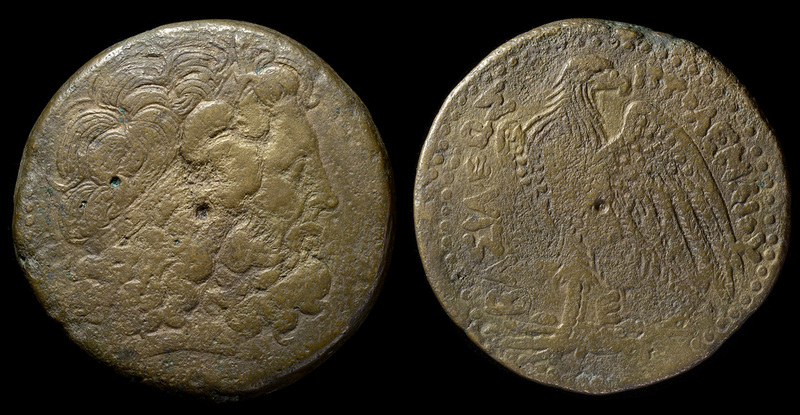 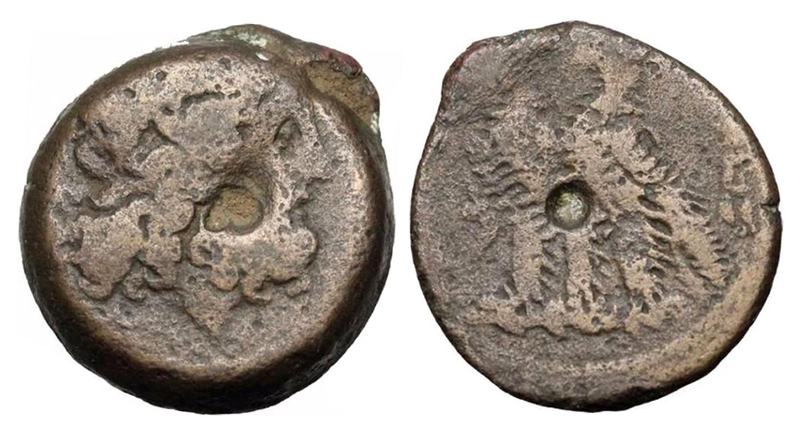 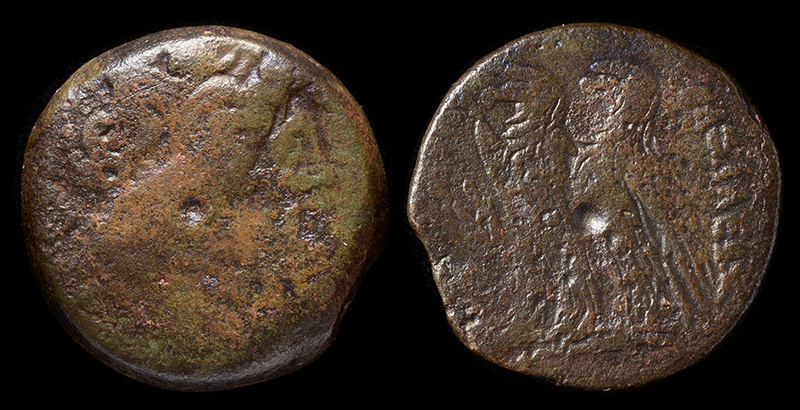 Bronze hemidrachm, Alexandria mint. 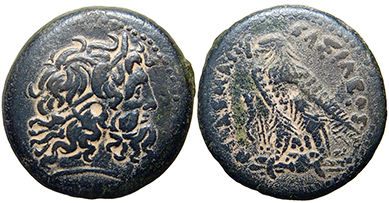 Head of Zeus-Ammon right, wearing ram's horn and tainia / Eagle standing left on thunderbolt; cornucopia tied with fillet over shoulder, . 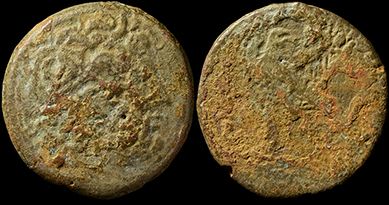 ref: Svoronos 1172-var. 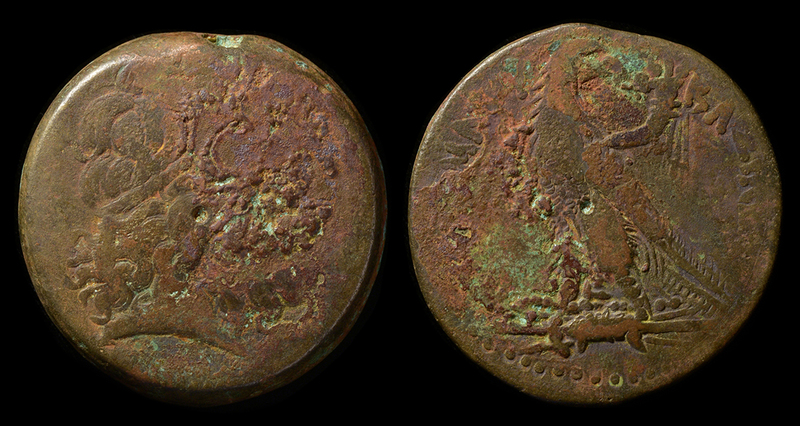 30 mm, 23.14 g. Nice reddish-brassy patina.